How Plastic Pollution Impacts Wildlife – And What You Can Do! For those of us who call New Jersey home, we’ve all likely witnessed the impact human activities have on our environment and the species who thrive here. Although habitat loss, illegal poaching and invasive species can be equally devastating to an ecosystem, the presence of plastic pollution around our state is a threat that almost every individual can be found personally culpable. 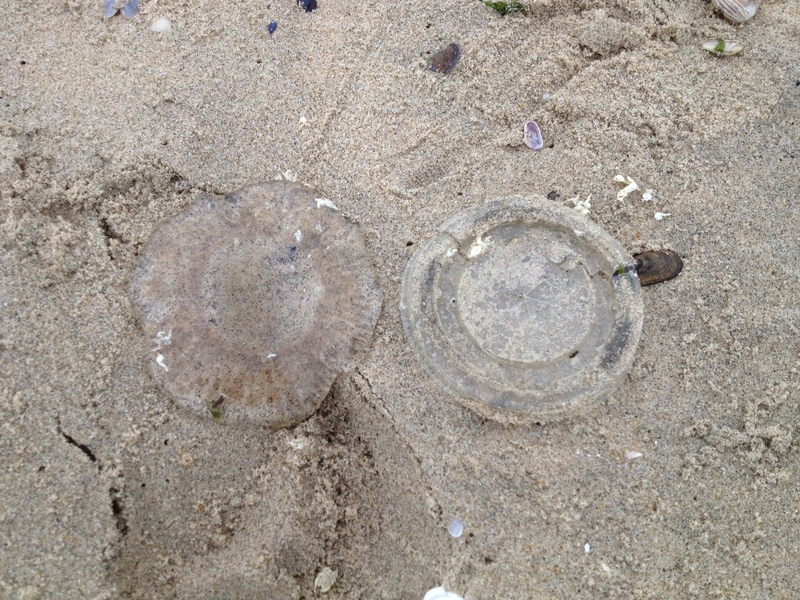 A jellyfish & a plastic cup cover – which is which? It’s easy to see how a sea turtle could get confused and accidentally swallow plastic. Photo by Mike Davenport. Although many forms of pollution impact our native species, the summer months at the Jersey Shore often result in a surge of plastic debris that are left behind or improperly disposed of. Plastic pollution impacts millions of wildlife species globally, and the diverse number of species in New Jersey are no exception. The plastic pollution that accumulates in our waterways and elsewhere around New Jersey poses a serious threat to native species. Single-use plastic products like plastic bags, bottles, bottle caps, wrappers, straws, and even balloons are not only unsustainable, but particularly dangerous for the animals that may become entangled in them or accidentally ingest them. A few years ago, CWF’s Habitat Program Manager Ben Wurst and his dedicated group of volunteers who monitor the osprey nests along the coast began to hold onto the trash and debris collected in and around the nests. While it may not be the most visually appealing educational resource, it made the growing problem of plastic pollution personal for Ben, in a way that words aren’t always able to convey. Plastic bags, one of the most common single-use plastic products, were overwhelmingly prevalent in many of the nests. And osprey aren’t the only wildlife species facing this threat. 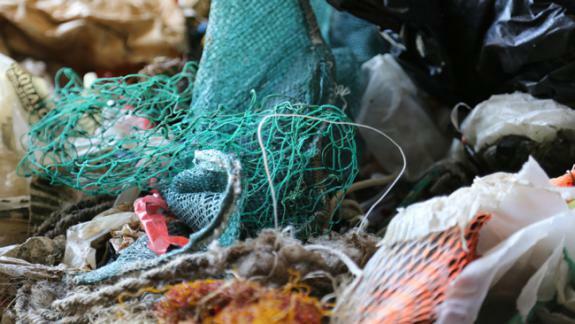 Seals, terrapins, shorebirds, fish, whales, sharks and dolphins can also be impacted by plastic debris. The presence of plastic in our daily lives is interminable and difficult to eliminate completely, but there are a number of things we can do to minimize the impact our habits may have on our wildlife! Whether you’re spending the day at the beach, having a picnic by a lake, or tubing down a river, make sure you take any trash with you before leaving and recycle what you can. If you’re out and about and notice that someone left some trash behind, take a moment to throw it away. A number of small changes from millions of people can make a big difference. For starters, invest in reusable shopping bags and water bottles. And cut down on the number of miscellaneous throw away plastics you use, including straws and plastic wrappers. Consider donating to CWF to support our conservation projects and ensure our biologists and our volunteers are able to continue surveying and aiding species in need.